German thrash metal veterans KREATOR will embark on a European headlining tour in early 2018. 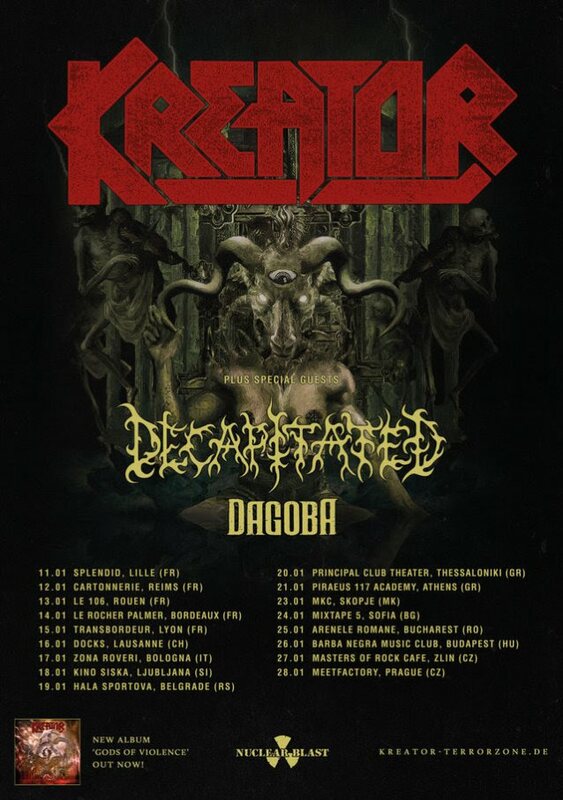 Support on the trek will come from KREATOR‘s Nuclear Blast labelmates DECAPITATED as well as DAGOBA. KREATOR is continuing to tour in support of its latest album, “Gods Of Violence”, which entered the official chart in Germany at position No. 1. The cover artwork for the album was created by renowned artist Jan Meininghaus, who also made the limited-edition artwork for KREATOR‘s previous effort, 2012’s “Phantom Antichrist”, and has lent his talents to bands like BOLT THROWER, ACCEPT and OVERKILL in the past. It has been fifteen years since Frontiers first partnered up with Jeff Scott Soto on a release and in celebration of that anniversary, Frontiers Music Srl will release another new album from Jeff on November 10. 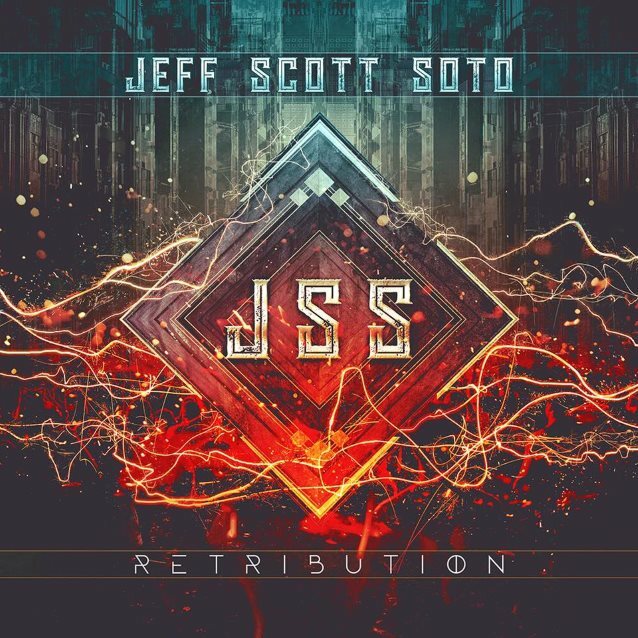 Co-written and produced together with Jeff Scott Soto alumni Howie Simon, “Retribution” is Jeff‘s sixth proper solo studio album in a style that fans have come to know and love from the legendary singer over the years. The song “Breakout” is available for streaming below. SCOUR — the extreme metal “supergroup” featuring Philip Anselmo (PANTERA, DOWN, SUPERJOINT) alongside members of CATTLE DECAPITATION and PIG DESTROYER — is teasing a new EP called “Red”, to be released this fall. Pre-order the EP on iTunes on September 15 and receive an instant download of the title track. The self-titled debut EP from SCOUR was released in July 2016 via Anselmo‘s Housecore label. The six-track effort was mixed by Dave Otero (CEPHALIC CARNAGE, CATTLE DECAPITATION, COBALT, KHEMMIS) and was made available on CD and vinyl formats. 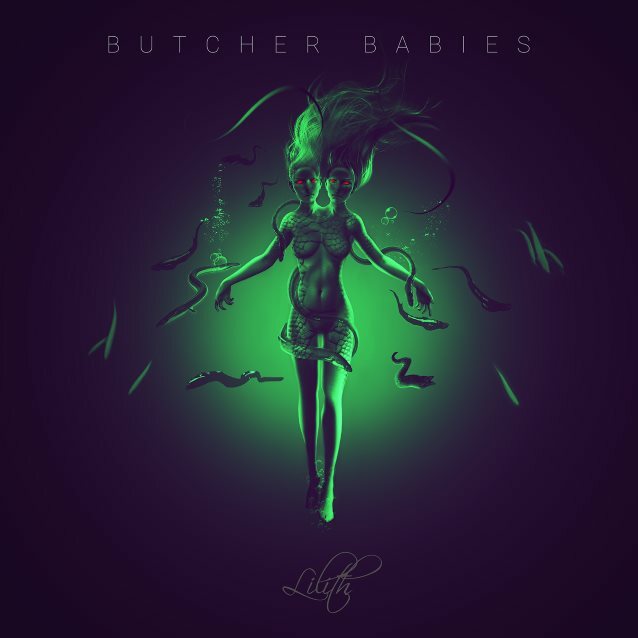 BUTCHER BABIES will release their third album, “Lilith”, in the fall via Century Media. The follow-up to 2015’s “Take It Like A Man” was produced by Steve Evetts (THE DILLINGER ESCAPE PLAN, SEPULTURA, SUICIDE SILENCE) and marks the band’s recording debut with new drummer, Chase Brickenden, who replaced Chris Warner last year. BUTCHER BABIES co-vocalist Heidi Shepherd stated about the “Lilith” title and cover artwork, which can be seen below: “Historically, Lilith has become demonized as a representation of promiscuity and disobedience. We, however, see her as a positive figure. A symbol of autonomy, sexual equality, and full control over your own destiny. Added co-vocalist Carla Harvey: “When we were thinking of titles for our album, we wanted to find something that embodied sensuality, lust, danger and power. We kept going back to Lilith. We researched Lilith and her origins in different cultures and forms and knew that this figure, once feared but now a beautiful, symbolic middle finger to repression, would be a perfect representation of our album. The disc’s release date and the video for the first single will be unveiled next week. Atlanta progressive metallers MASTODON will release a new EP featuring four previously unreleased tracks. “Cold Dark Place” will be made available digitally and on CD on September 22 via Reprise Records, followed by the release of a limited-edition ten-inch vinyl picture disc on October 27. 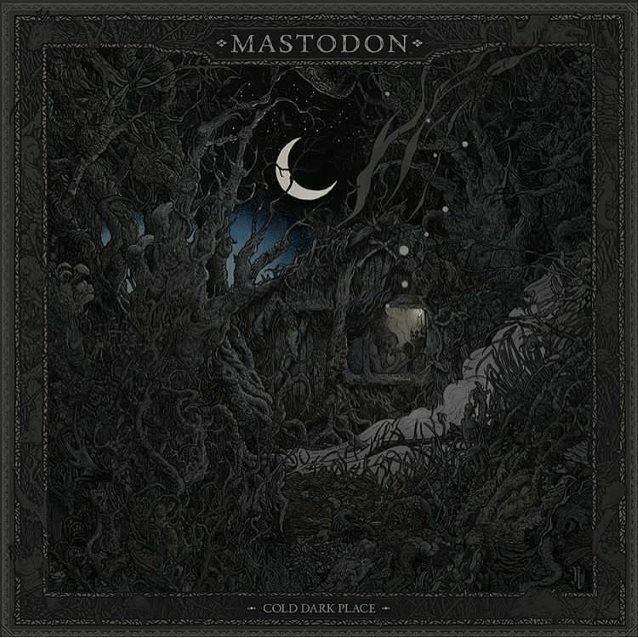 Three of the songs on “Cold Dark Place” — “North Side Star”, “Blue Walsh” and “Cold Dark Place” — were recorded during the sessions for MASTODON‘s 2014 album “Once More ‘Round The Sun” and were produced by Nick Raskulinecz. A fourth track, “Toe to Toes”, was recorded during the sessions for the band’s most recent album, 2017’s “Emperor Of Sand”, and was produced by Brendan O’Brien. Those who pre-order “Cold Dark Place” will receive an instant download of the track “Toe to Toes” on September 1. Also, next month MASTODON will appear on the cover of the newly relaunched Revolver magazine. The issue, which hits newsstands on September 12, will be available withfour different covers, each featuring a member of MASTODON. When all four covers are placed together side by side, a single image of the full band, which is Brann Dailor, Brent Hinds, Bill Kelliher and Troy Sanders, is created. As an added bonus, Revolver subscribers will receive an exclusive and very limited-edition seven-inch vinyl single with their paid order. The A-side is the version of “Toe To Toes” that appears on “Cold Dark Place”, and the B-side is a previously unreleased instrumental version of the track. The single will be housed in a picture sleeve featuring exclusive artwork by Richey Beckett, who also created the cover image of the “Cold Dark Place” EP. A behind-the-scenes mini-doc on Beckett and the making of the “Cold Dark Place” cover art can be seen below. MASTODON will spend the remainder of 2017 on the road in North America and Europe in support of “Emperor Of Sand”, which debuted at No. 7 on the Billboard 200 album chart. The follow-up to 2014’s “Once More ‘Round The Sun” was recorded at The Quarry Recording Studio in Kennesaw, just outside MASTODON‘s hometown, with producer Brendan O’Brien (PEARL JAM, NEIL YOUNG, AC/DC, RAGE AGAINST THE MACHINE), who first worked with MASTODON on their seminal 2009 album “Crack The Skye”. 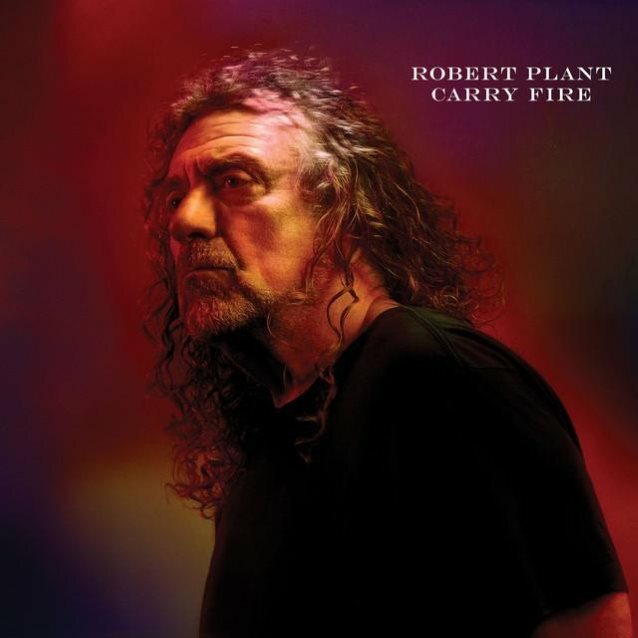 Robert Plant will release his eleventh solo album, “Carry Fire”, on October 13 via Nonesuch/Warner. The disc’s lead track, “The May Queen”, can be heard below. The follow-up to 2014’s “Lullaby And… The Ceaseless Roar” features Plant‘s backing band THE SENSATIONAL SHAPE SHIFTERS in their second appearance on record with the LED ZEPPELIN frontman. “Carry Fire” includes a guest appearance by PRETENDERS vocalist Chrissie Hynde on a cover of “Bluebirds Over The Mountain”, previously recorded by Ritchie Valens and THE BEACH BOYS. 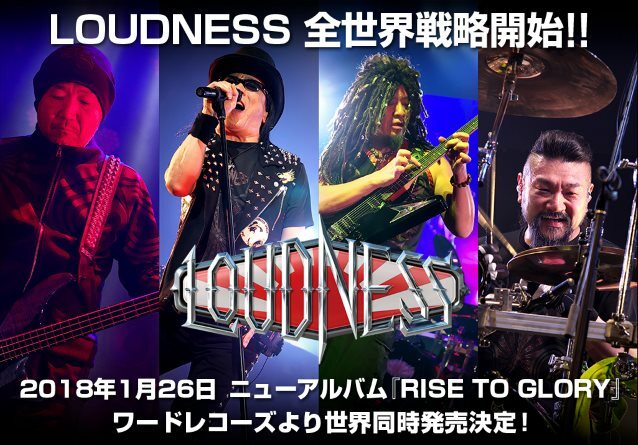 Japanese metallers LOUDNESS will release a new album, “Rise To Glory”, on January 26, 2018. The follow-up to 2014’s “The Sun Will Rise Again” will be made available in Japan via Ward Records and throughout Europe and America via earMUSIC, home to other world-class acts such as DEEP PURPLE, ALICE COOPER, STATUS QUO, DEF LEPPARD and THUNDER. LOUDNESS has released twenty-six studio albums, five of them in the U.S. The band’s lineup has changed multiple times since 1981, with the current incarnation consisting of three original members — lead singer Minoru Niihara, guitarist Akira Takasaki and bassist Masayoshi Yamashita — along with drummer Masayuki Suzuki, who joined the group in 2009. LOUDNESS released a special thirtieth-anniversary edition of its classic “Thunder In The East” album in Japan in November 2015 in several different versions, featuring demo recordings, bonus DVDs with live footage from their 1985 U.S. tour, a documentary about the making of the LP and other things.